There are several sorts of reasons why automobile users require a car key made service. One might lose a bunch of keys unknowingly; it can become broken or worn out due to frequent use, you might have forgotten it at your favorite bar, there are other tons of reasons that might lead you to require an immediate way to getting your car open. Usually we offer to made car keys when you don’t use re-keying services, but if you looking for car key replacements, and car key duplicates. We are well able to make car key for any vehicle, regardless of the make and model and with the latest key making technology. Our experts are well inclined with the knowledge of any type and model of car. If you find yourself in such situations that you are among the 80% who do not have a duplicate key, using ASAP auto locksmith services is the best solution possible. Getting a quick car key replacement has become easier because key making has become mobile service. At ASAP Locksmith we have mobile key programming and cutting to provide easy solutions to our customers. This technology helps us to make properly working keys anywhere and at any time. As much as many automobile users try as much as they can to avoid losing their car keys in unlikely places, this has been a common cause for getting car key replacements. In situations like this, the most immediate and plausible way out is if one has a spare key to fall back on. However, 80% of the people who find themselves in situations like this actually don’t. Let’s be honest. misplacing our car keys can give us a serious stress. Having the key stucked in the car ignition and even damaged either accidentally or otherwise is yet another hectic situation. Without any spare parts available, acquiring a duplicate key beforehand is not just an intelligent but also reasonable choice, this can also end up saving you from obtaining a duplicate key from your current car dealer, which can be not just inconvenient but probably very expensive. 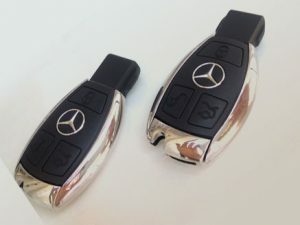 The key reason why you should get a duplicate car key? Avoid the total loss of the keys. Obviously, losing your car keys is a challenging situation that everyone wants to stay clear of. In prevention, you possibly can make a version of your key that you are going to safeguard. In a situation in which you share your car. Thus you could make a key to each user of the car which therefore simplifies its use. This prevents car troubleshooting including a change of all the locking system, which can be a lot more costly. More often than not, your car key comes along with a spare set; nevertheless, one is likely to forget exactly where one keeps them or often times, this spare set can also be damaged in a different way. The auto locksmith team of ASAP have the recent technology and equipments for the cutting and programming of keys and controls for cars, we are obliged to offer the recent equipment for the programming of keys. A transponder key is simply a key with a transponder chip inside it. Most automobiles built in the later years of 1990 come with this impeccable feature, so if you own a car built within this year, you probably own a transponder car key too. Transponder keys provide additional security to automobiles, and it was built to increase the levels of proper user verification. The transponder chip found in the transponder key is usually located in the main body of the key. It is built in; to help communicate with the computer board of your car through the use of radio waves. Through this automated process, your vehicle will recognize that the key inserted in the ignition of your vehicle is coded for your vehicle and will enable the ignition to start. A transponder chip disarms a vehicle immobilizer when the car key is used to start the engine. A car that is built to work with a transponder key will not function without one. Apart from the security benefits of transponder keys, transponder keys also guarantee keyless entry, this benefit not only increases your safety, but it also ensures your convenience. There are several reasons one may require a transponder key replacement service. You might lose your key, the key might get broken, or it can even get worn out due to frequent use. 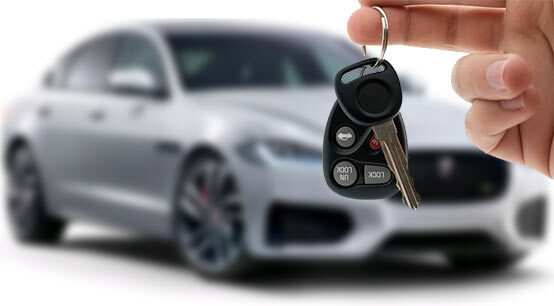 Today, the variety of car keys available on the market includes mechanical cut keys, laser cut keys, Sidewinder or switchblade transponder keys and much more. Each of these keys serves a different purpose in a vehicular security system and each of them requires different tools and software to replace. One of the most popular security features in new cars is the transponder key feature. The transponder key is a key fob with a computer chip inside. The key is capable of communicating remotely with the car, providing a code that will allow the owner to use the vehicle. This feature is used to do a myriad of things depending on the vehicle. Some transponder keys have the power to immobilize the engine of your car unless they’re present. With others, the car won’t unlock without the transponder key. If you have misplaced your transponder key, chances are your dealership has told you they are your only option for replacement. However, ASAP is the best locksmith that can do the job just. Our technicians have the training and the tools necessary to provide the transponder key programming service. In case your car key has become broken or even damaged, its steel piece will no longer be useful. As a result of this, the key microchip will have to be taken away and a brand new key is created for you. If perhaps the key is considered to be worn-out due to the fact that you have had the car for a long period of time but you still use it frequently, the key could possibly be recut and also restored to be used. In case the key is being stuck in the motor car lock and you are not able to take it off, a locksmith could certainly analyze the issue and then make use of the suitable equipments to take it out with little or no damage to the lock. In cases where it is stuck in the ignition, the locksmith will certainly verify whether or not this issue is similar to the key or the ignition as well as seek the suitable option. Ignition switch of an automobile car engine is usually driven primarily with the aid of a key, referred to as the ignition key. It is certainly not possible for you to drive the car without it. Nevertheless, from time to time, you might have to change this key for various factors, for instance, damage of the switch, key theft, or perhaps inappropriate performance of locking mechanism. it is important to make contact with an expert automobile locksmith to change the key. The ignition key is amongst the vital aspects of any kind of car irrespective of the, make or model of the car. An issue with the ignition key of your car is not a surprise because the ignition device of the car is very fragile, and it’s a combination of two essential components – the ignition key and the ignition switch. Most frequent issues with these two components often is as a result of two distinctive conditions: key being stuck in ignition or the key will likely not simply turn in ignition system. In many instances, ignition key or switch issues could possibly be solved without requiring any changing of components which is often quite more expensive. An ignition key replacement is likewise important whenever you misplaced your current keys or a situation where the ignition key is damaged – a curved, twisted or even damaged key is a quite very common problem. Overall, this would go to prove that a faulty or even damaged ignition key implies you are heading nowhere. Without a doubt, this will cause stress and also unwanted headaches. IA this kind of situation we can assist you out with an expert ignition replacement service. Rekeying an ignition is just a simple process of the key that works with already existing locks. Rekeying an ignition key is far cheaper than having a locksmith install a new lock. The basic difference between rekeying and replacing is that the lock which is already in use is not being replaced permanently. Car key ignitions are a complex set of tumblers found in a vehicle, and with the help of rekeying the ignition, it is possible to change the tumblers so that a new set of keys can be used in the same car. Ignition rekey is often best option available for security purposes while still retaining your old locks. It is advisable to have your car locks rekeyed when you have even the slightest suspicion that an unauthorized person had access to your car when they shouldn’t have. Most car owners rekey their car ignition after an ignition replacement; this is when the car owner chooses to operate his car locks with one single key. You can either choose between having your ignition rekeyed to fit the original key or have all other locks rekeyed to fit the new key. Car rekey services range from reprogramming of the new keys, replacement of lock wafers in all locks, and remote controls. To effectively rekey your ignition or car locks, you will require the help of experienced and professional locksmith.